Teaneck would have to wait. First there was some minor auto repair to resolve. Last night, I’d noticed a burnt-out marker-lamp on my ’91 Corolla. So this morning, armed with a replacement bulb, a Phillips screwdriver, and a little old-fashioned elbow grease, I popped the hood outside a nearby strip mall and got down to business. Little did I know that the day would hold additional parking-lot car maintenance. It certainly didn’t cross my mind when I did reach Teaneck on this day off. I only visit the town a couple of times of year, but there was a new art gallery I wanted to check out. So I parked in the same public lot I always do, grabbed a couple of slices—it was turning out to be a pretty good day. So maybe I was tempting the fates as I departed the art exhibit and made a decision: I would tend (once again) to the Corolla’s sagging vinyl ceiling. The last glue job had held quite a while, but now the back driver’s side was drooping over the rear window. At the CVS I picked up a tube of Elmer’s Stix-All gel cement. I tore away the packaging as I walked back to the lot. 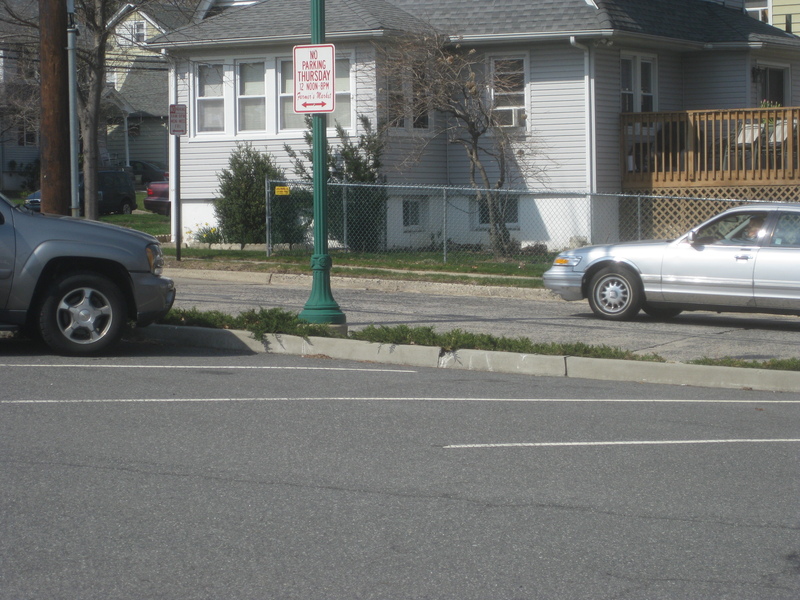 Opening the car door, I noticed an old woman in a silver sedan motioning to me. Removing my iPod earphones, I approached. Hmm, the key had come loose from its little plastic head. I could not get a good grip on the smooth metal end protruding from the ignition. Maybe if I just jiggle the…DING! DING! DING! DING! DING! Ah, the old key-in-the-ignition-while-the-door’s-open sound. Was I making things worse? I closed the door. Now, sitting behind the wheel of her Mercury Grand Marquis, I briefly fantasized about just driving off; leaving behind a baffled woman in a quiet parking lot. But logic quickly took over: Car must be in park, with the ignition off, and the key should just… Voilà! It pulled right out. “I got it!” I triumphantly proclaimed, stepping out of the vehicle. “I will drive you!” I announced. And so I cleared off my passenger seat: mini-screwdriver set, anorak windbreaker, The Club® (which I still use simply out of habit, not from any actual belief that car thieves are targeting 20-year-old dented-to-hell Toyotas with saggy ceilings, no airbag, and a busted tape deck). This sparked a lighthearted discussion in which we agreed that there were good people—and bad people!—of all religions and backgrounds. (“The Son of Sam—he was Jewish!” I exclaimed. “David Berkowitz!” I failed to mention that he renounced Judaism and was a practicing Baptist by the time the dog started talking to him. “Who’s that?” Shirley asked. “Never mind,” I replied. “A bad guy from the ’70s.”) Her once heavily-Jewish Cliffside Park neighborhood is now very mixed, very international, and she thinks everyone’s nice, everyone’s educated. The children play pianos and violins. 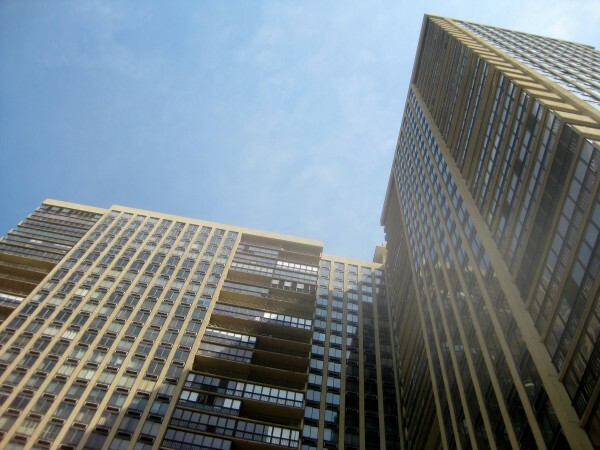 We arrived at Shirley’s massive apartment building. Did I want to come in, enjoy a cold drink, while she looked for the key? She could get a parking pass for me from the front desk…. No, no, I’ll stay with the car, take your time. Besides, I still needed to apply that Stix-All gel. On our return drive to Teaneck, we discussed Shirley’s family. Her son is a dentist, lives out on the Island. Daughter is a lawyer in Boston. Granddaughter has one more year of college, wants to go to China afterwards. Shirley doesn’t know what to make of this but is supportive nonetheless. “Do you like chocolate?” Shirley asked. At last we arrived back at the Teaneck parking lot. Shirley profusely thanked me again, wishing me a good holiday. She started up the Grand Marquis and headed for home. I got back in the Corolla. It was time for me to head home as well. I didn’t know Bud Cort was 41 when he made Harold and Maude. But very nice thing you did. 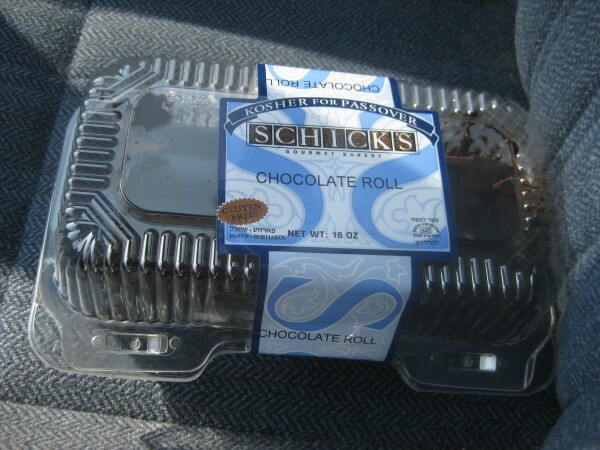 And Schick’s is known for being, like, the best kosher-for-Passover cake out there, which is kind of like being the best episode of Cop Rock, but it’s still nice. Hooray for Jack and Shirley, kindness and cake! That was so sweet of you! I hope you have a good Passover. but only because he wasn’t the least bit talkative. We’d met in a travel chat room, the kind where you might ask fellow travelers what the weather seasons are like in Guatemala, or if one needs a French phrasebook when visiting Montreal. It was a national group of dweebs, though it turned out me and her were living 6 blocks away from one another. After some back and forth-ing, serendipity let us know that she grew up in the Bay Area and had attended the Altamont concert, and since I liked non-mainstream films, our first “date” ended up going to see ‘Helter Skelter’ which was on a one-week run just down the street. A lot of dips and turns throughout the following year, too many to bore you with. I never picked up on many Jewish-isms besides perhaps she had a few homosexual friends, her son-in-law was a 300+lb black kid working as an Oakland CA bouncer (an extremely soft, pillowy, handshake i might add) , and that she would slip into a most reverent tone when speaking of her deceased bohemian mother, a hanger-on in the Neal Cassady and Ginsburg City Lights crowd, militant about domestic duties, kind of a ragged June Cleaver, a single mother ever since being impregnated by a Mexican, who turned-out to be a hard working different-family-man, and ready for the father-child reunion some 30 years later. “i would not give you false hope, on this strange and mournful day” or would i? Gary, welcome back to SiW land! Enjoyed yer tale. ya think they’re still feeling the effects of genocide?